Have a LG Optimus F3 that you want to get a little more out of? This guide will teach you exactly how you can root your device! In no time at all you’ll have root access on your LG Optimus F3, which will open the door to endless possibilities. 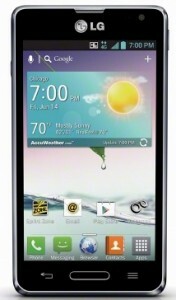 This root guide is for the LG Optimus F3 running Android 4.1.2 Jelly Bean. is specifically for the LG Optimus F3. Download the LG drivers and install them onto your PC (if you haven’t done so already). The LG USB drivers can be found at this link . Your LG Optimus F3 needs to be in USB debugging mode. Go to Settings, then Developer options, and then check the box that says USB debugging. Download the root package, and extract it to a folder onto the desktop of your PC. Title the folder ‘motochopper’. The root package can be found by following this link . Plug your LG Optimus F3 to your PC using your micro USBcable. Navigate to the ‘motochopper’ folder in which you extracted the root page to on your Desktop. Inside the ‘motochopper’ folder, find a file named run.bat and execute it. Select normal mode, and follow all the instructions that run.bat tells you. Be extra careful and read every detail. After run.bat finishes what it’s doing on your LG Optimus F3 Plus you’ll have root! Enjoy a rooted LG Optimus F3.